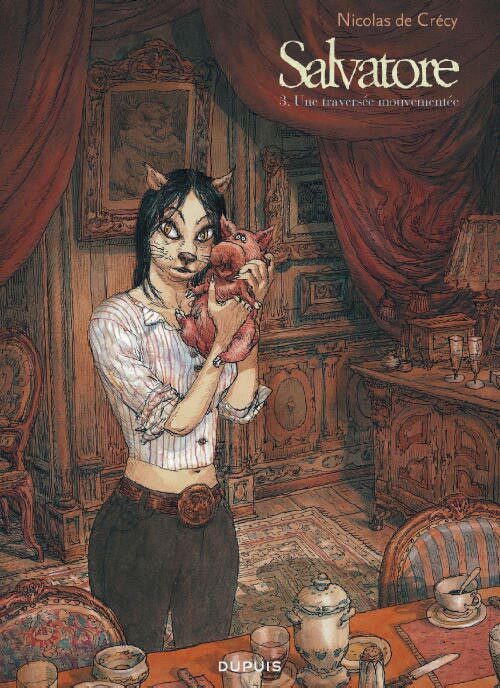 The recent announcement that NBM would be publishing another comic about the Louvre got me thinking about their first in this series, Nicolas de Crécy’s Glacial Period, which is wonderful. 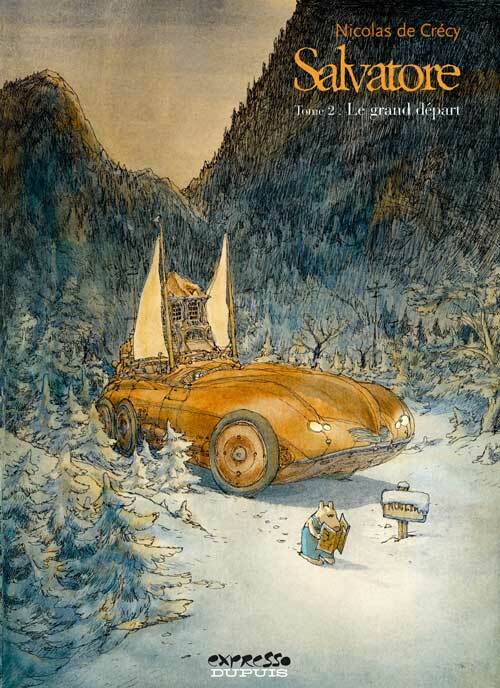 So for this week’s license request, I’d like to take a break from Japan and head back to France, because there are too few comics by de Crécy in translation, and there are also too few comics about dogs who are auto mechanics. If some kind publisher were to pick up de Crécy’s Salvatore, we could ameliorate both of those shortages. The first volume, Transports amoureux, seems to feature a demanding pig. The second, Le grand depart, involves a found-object artist who happens to be a cow and an inconvenient litter of piglets. 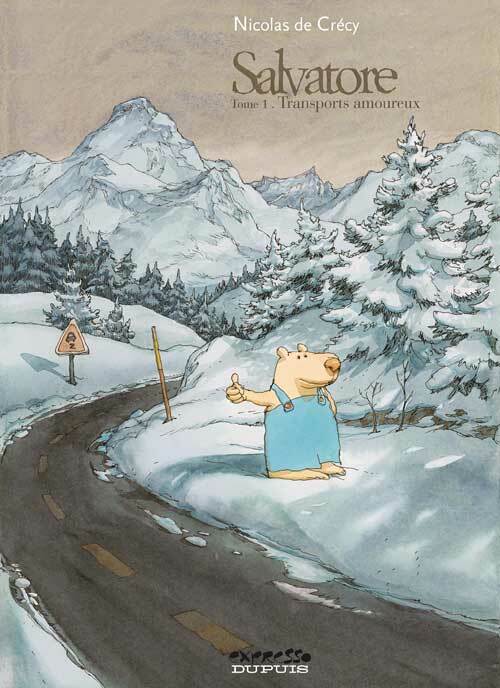 The third volume, Une traversée mouvementée, sees our cantankerous canine hero off on the road to find his true love. All three volumes feature de Crécy’s eye-catching, adorable but somewhat grotesque illustrative style. Now, anyone who has read Glacial Period (and I hope that’s most of you) knows that de Crécy has a knack for idiosyncratic, anthropomorphous protagonists, and I see no evidence that he’s lost his touch. And if you can look into your soul and say that no, you really don’t want to read a comic where a dog makes himself fondue, then perhaps you need to sit down and think about your priorities. You are currently browsing the The Manga Curmudgeon blog archives for the day Friday, December 18th, 2009.